Netflix is now offering a streaming-only subscription service for $7.99 per month. This includes unlimited streaming of all of their instant titles, but with no DVD in the mail. Netflix CEO Reed Hastings said this came with the success of the $7.99 streaming service in tested in Canada. Streaming is such big business for them, it’s overshadowed their disc delivery model. 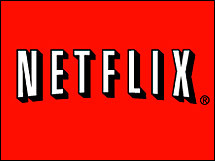 Netflix is standard with practically every value-priced Blu-ray Disc player, and mid-level LCD or plasma HDTV. We are now primarily a streaming video company delivering a wide selection of TV shows and films over the Internet. At $7.99, this plan is the same price as Hulu Plus. I expect Netflix will try to leverage their ubiquity to get current TV programming on their instant service. The Blu-ray Disc surcharge will remain the same.